Created specifically for the EBSQ show "Dia de los Muertos", a Mexican festivity celebrating the living spirit and the souls of their ancestors. During the celebration, it is typical to see native marigolds decorating altars and graves. 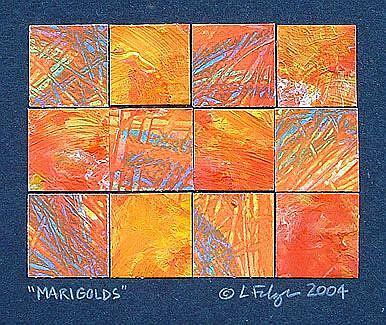 This is my abstract mosaic interpretation of the marigold.